What actually is smarketing? The largest German market research institute GfK wanted to answer precisely this question. 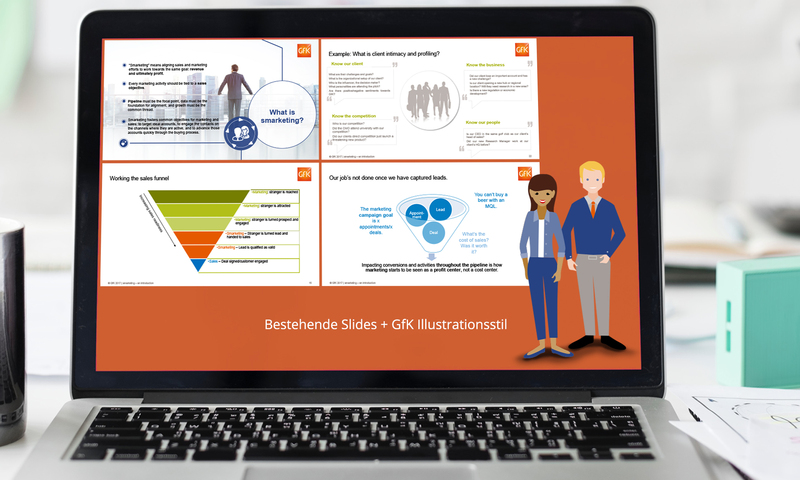 By means of a PowerPoint presentation, the term and the contexts had to be presented to an in-house target group. One of the must-haves was an exceptional design within an informative framework. 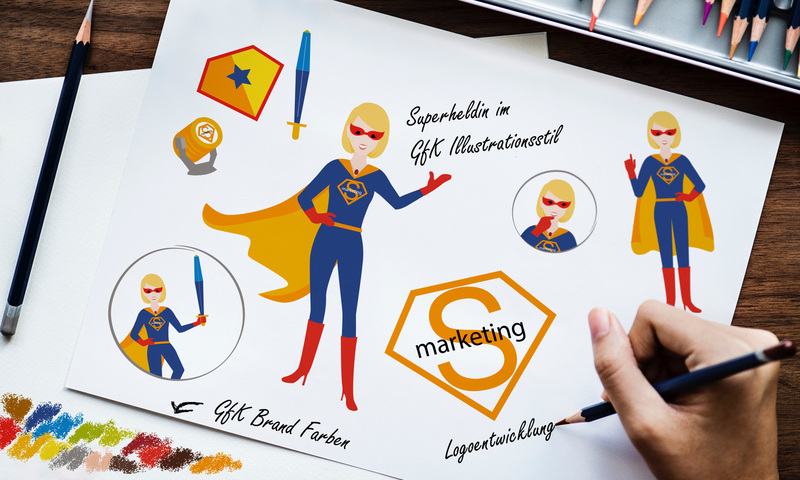 K16 unleashed a great deal of creative energy for this project: the customer had to be shown as a female superhero in the illustrative style of GfK. The protagonist runs through the content of the entire presentation and thus forms the common thread. Our central figure showed all the relevant product areas that could benefit from smarketing. In this way, we entertained the audience without losing information density. All graphics and diagrams in the presentation were illustrated in the same style as the protagonist. The uniform style made the content accessible and alive.